For the better part of a century, West Haven produced one of the more unique and innovative textile products in United States’ history. Known as elastic web, this stretchable fabric found its way into everything from clothing to automobile parts to industrial machinery. The American Mills Web Shop in West Haven provided the model for many local manufacturers to follow, helping make Connecticut one of the dominant elastic web producers in the country. The first elastic web product made in the US came from the Hotchkiss & Pritchard company of Waterbury in 1839. Using hand-powered looms, Hotchkiss & Pritchard made their fabric for use in suspenders. 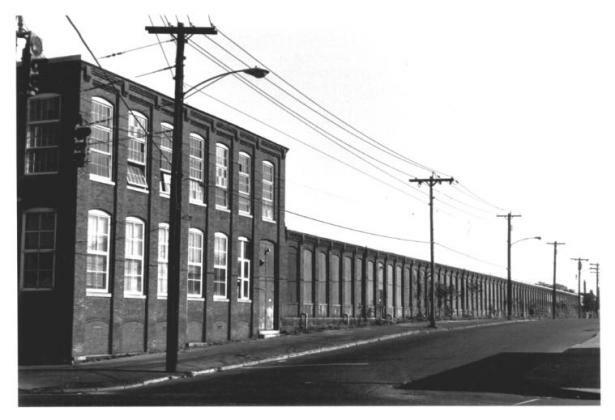 Two years later, power-driven looms utilized by the Russell Manufacturing Company in Middletown helped revolutionize production, allowing the industry to grow throughout the region. Elastic web production made its way to West Haven at the start of the 20th century. 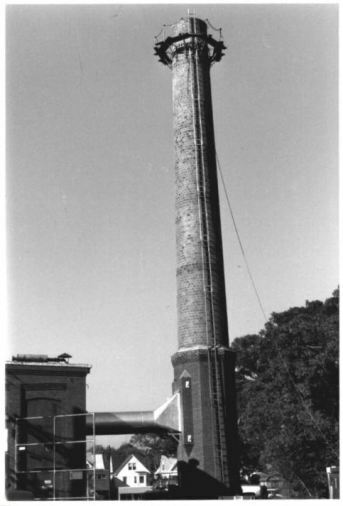 In 1902, Earl Smith, Archer J. Smith, and Julius Maltby of Waterbury incorporated the Narrow Fabrics Company in West Haven; mill construction finished the following year. By 1914, the West Haven business was three times its original size, providing elastic web for use in corsets, machine belts, and automobile brake linings. That same year, Narrow Fabrics, the New Haven Web Company, and the American Mills Company all merged to become the American Mills Company of Connecticut. At that point, the West Haven manufacturing facility operated under the name of the American Mills Web Shop. Over the next 25 years, the shop expanded from 10 looms and 25 employees to more than 20 looms and 250 employees. West Haven web shop employees utilized cotton, rayon, and silk combined with sheets of rubber to make elastic web. They then vulcanized the product utilizing a series of heated revolving drums before bringing the web to the looms for stretching and cutting. In 1941, the United Elastic Corporation purchased American Mills and began operating it as a separate division of the company. Roughly 30 years later, in 1970, United Elastic ceased manufacturing operations at the American Mills Web Shop—moving production to Alabama. After the company removed the looms and other machinery, the web shop served briefly as a warehouse. Shortly after the East Coast Loose Leaf Company, Inc., of Stamford purchased the building in 1981, a movement emerged to protect the American Mills Web Shop as a significant example of early 20th-century industrial development. As a result, the building now resides on the National Register of Historic Places, reminding visitors and residents alike of the important role West Haven played in Connecticut’s textile industry.